This year the Oration will feature Luke Pearson as Orator, with a respondent and musical acts to be announced. Koiki ('Eddie') Mabo was a crusader for Indigenous land rights: fighting and winning a ten-year legal battle with the Queensland Government in the High Court of Australia in 1992. As a result of this court ruling, the proposition known as Terra Nullius was struck down and Koiki became an icon in the struggle for recognition and land rights by the Indigenous peoples of Australia and the Torres Strait. He died shortly before the High Court brought down its verdict. Luke Pearson is a Gamilaroi man, who founded @IndigenousX in 2012. 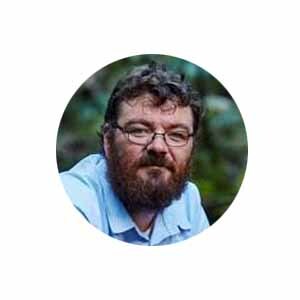 Luke has worked as a teacher, mentor, counsellor, public speaker, collaborator, mediator, facilitator, events manager, researcher, evaluator, reporter and much more. Luke's passion for IndigenousX stems from his belief in the need to improve Indigenous media representation in Australia and to have a platform for individuals to tell their own stories in their own words. QTIX is the official ticketing service for QPAC and Mabo Oration 2019. Selected packages are sold through authorised resellers only. Any tickets purchased through unauthorised sales channels may be seized or cancelled without refund or exchange and the bearer of the ticket may be denied admission. Unauthorised sales channels include Viagogo, eBay and Gumtree. Read more about purchasing tickets online.